Hello Friends, Cloneit Is Used To Transfer Contacts, SMS Text Messages, MMS, Call Logs, Apps, System Settings, Photos, Music And Videos. There Are Certain Advantages That Cloneit Brings That Make It A Great Data Transfer Tool. The App Wins Brownie Points For Its Features And Its Ease Of Use. The Data Transfer Rate In Cloneit Is 20 Mbps, Which Is 200 Times Faster Than What We Are Used To Seeing In Bluetooth File Transfers. 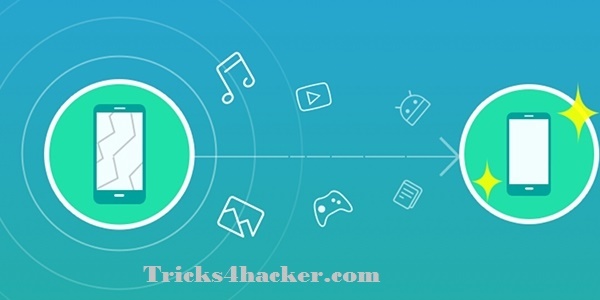 Transferring All Your Data From One Android Smartphone To Another Should Become Very Easy. It Also Brings Additional Features Like App Uninstaller, Space Cleaner And More..
Download Cloneit App And Get Installed On Your Old As Well As Your New Android Smartphone. After Installing The App On Both Devices, Open Cloneit On Your Older Android Smartphone And Select “Sender“. The App Will Then Create An Open Wifi Hotspot With The Name Like “Dks0-TW9“. You Will Another Name Too But Its Same As Mine. Then, Connect The New Android Smartphone To The Wifi Network Created. Then, The Sender Will Receive A Connection Request From The Receiver Device. 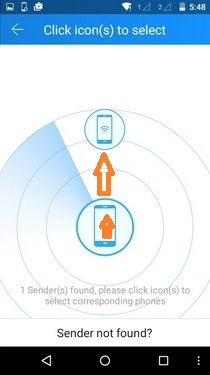 Have Tap “Ok” To The Request On The Sender Android Device. After Accepting The Request, The Receiver Device Will Have The Ability To Select The Data To Migrate. There’s Also Ability To Select Certain Files Or Apps. The App Also Shows You The Size Of All The Data That Will Be Transferred. ð To Move SMS Texts, Cloneit Will Ask You To Change The SMS App From Default App To Cloneit’s App. You Can Later Go To Settings And Change The Default Messaging App Once You Are Done Using Cloneit. 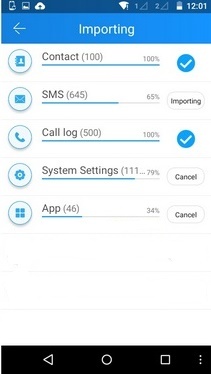 Once You Have Selected The Data You Want To Import, You Can Tap The “Start” Button To Start Importing The Data To The Receiver Android Smartphone.